A new week has started and it’s going to be a busy one! I’ve to hard work on my graduation this week, just another workweek and I’m starting with some poledance lessons! Last week I had a tryout with a friend and I loved it!! For now I’m starting this week with a new outfit which I hope you all like! Weather is getting colder so I’m going for layers! Check it out! I’m wearing a grey wool Sweater and a sand coloured trenchcoat! 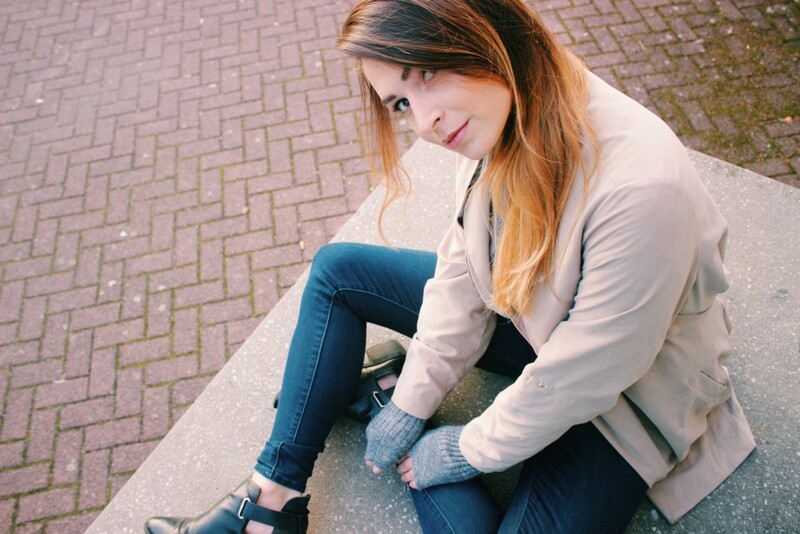 I love this trenchcoat because you combine it easily with every colour! Under that I’m wearing my new dark washed mile high super skinny from Levi’s and these cut out black boots! All had a lovely weekend? Yesterday I had a day off working on school because graduation is getting closer! Today I also had a day off just doing absoluty nothing, awesome! How are you all? All enjoyed your weekend? Friday was my day off so I went shooting for some styling assignments! We shot five different concepts that day. It was a long 14 hour workday but I’m so curious about the end results which I will share with you all soon! For now I’m going to focus on graduating which will be next month so fingers crossed! 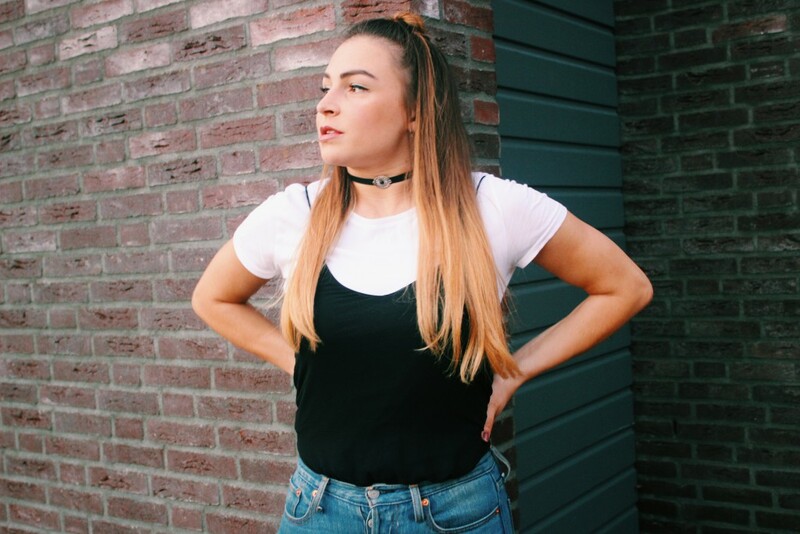 Showing you this new outfit on this post! A look with my favorite 3 colours, black white and blue, and these awesome suedine boots from Sacha. Check it out :)! I have to say that I’m definitely a shoeholic! But I still couldn’t find the perfect pair of black heeled boots till now! In the past I wore high heels every day that’s why I called my blog High on those Heels! I love high heels which are comfortable to walk on a whole day and that are easy to style with every look and trend! These black suedine boots from Sacha are perfect! What do you think of them. They fit perfect with this new outfit which I wore. I’ve styled them with a white shirt and black spaghetti strap top! Under that I’m wearing this cropped wedgie fit jean from Levi’s. Still love to wear chokers including this black choker with pendant! You can order your favorite pair of Sacha boots now with 15% discount now on www.sacha.nl with discount code | High On Those Heels. (only for the dutch followers). Would love to know what you all think of this new look! 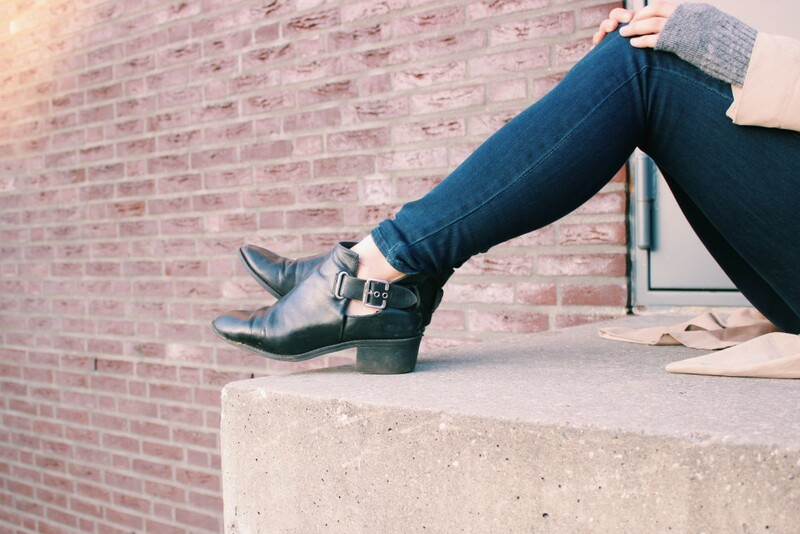 How would you style these boots and how would you describe your favorite ankle boot? Let me know :)! It has been a while since I posted last outfit! I’ve been a bit sick on and off so my energie level was like zero. Hope to post more this Month, starting with this sneak peek! I’ve received some awesome new boots from Sacha! I will show my boots in the full post tomorrow so for now I little sneak peek of the look! Always love to wear Black and Blue! Curious what you allready think of this sneak peek! Don’t forget to check out the full look tomorrow!